WMS 2017 set to inspire and educated. 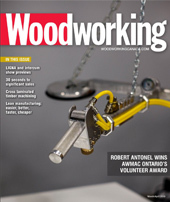 Show organizers say their goal for this year’s Woodworking Machinery & Supply Expo held in Toronto Nov. 2-4, is to inspire, educate, and offer unlimited networking opportunities. As the country’s largest woodworking event by far, WMS 2017 will represent the best of Canada’s robust industry. 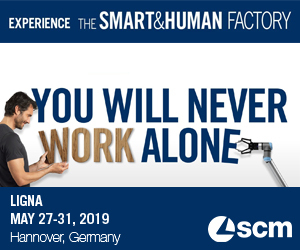 The show will offer a wide selection of the latest products and service and this year in particular, there will be a lot to see regarding the current industry buzzwords such as Industry 4.0, the Internet of Things, and mass-customization. According to Tim Fixmer, CEO of WMS 2017, “more than ever this year, attendees will see truly “smart machines” and tooling that talk to each other and integrate with the front office and the shop floor. And this level of automation is available to shops of all sizes. 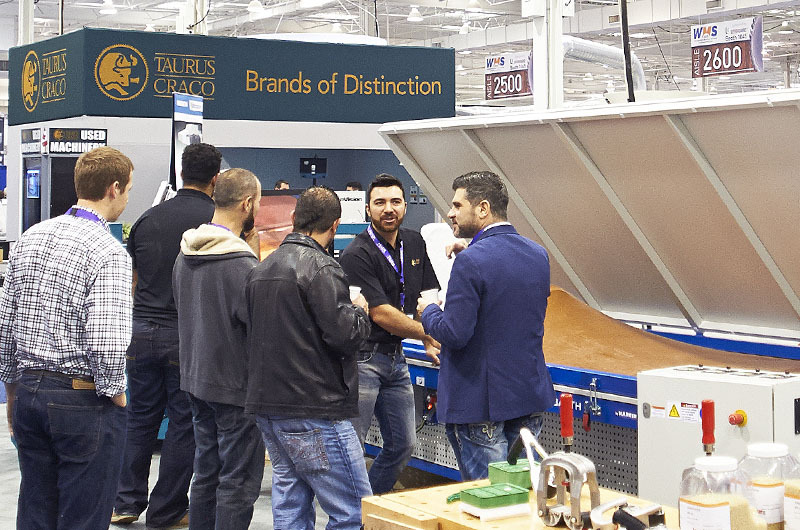 “In addition to the exhibits of machines, tooling, and software our materials, hardware and supply exhibitors will be displaying a wide array of innovations, many of which are on display for the first time in North America. WMS will also address the industry challenges of developing and retaining a skilled workforce and successfully implementing the latest manufacturing technology. Two keynote speakers and four education tracks will, in part, address these issues, Fixmer says. Sylvain Garneau, the head of furniture giant, Groupe LaCasse, will keynote the opening luncheon and address business and management issues he encounters, including workforce development and capital investment analysis, in operating one of Canada’s largest furniture manufacturers and exporters. Friday’s luncheon keynote, Superior Cabinets CEO Scott Hodson will discuss how Superior has deployed programs such as Lean and 5S, partnered with their dedicated staff in all departments, and developed a culture of constant innovation. Also have a look at the extensive conference curriculum and attendees will also not want to miss is the Pro-Ply plant tour in the afternoon of the first day or the opening reception, also on opening day, from 5 – 6 p.m in yhr concession area.